Langland has opened its first office outside of the UK in a move that follows its acquisition last year by Publicis Healthcare Communications Group (PHCP). The agency's New York office is situated within its parent group's corporate headquarters in the city and will be led by Langland's managing partner Kate Spencer. She said: “Specifically in the field of clinical trial patient recruitment, Langland has amassed extensive experience and expertise having supported global pharma companies with over 350 studies across 75 countries. Publicis Health acquired the independent Windsor-based health advertising agency in December last year, noting at the time that rather than rebrand Langland it wants to focus instead on the global replication of its multi-award-winning brand. 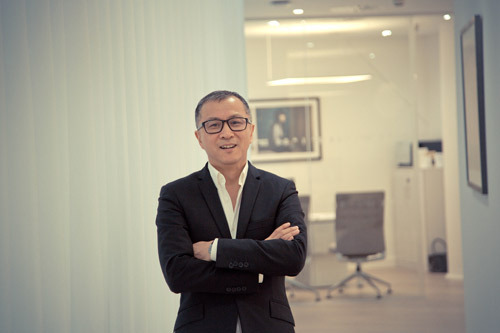 Philip Chin, Langland's chief executive, said: “Our strategy is to scale and replicate the Langland brand internationally as part of Publicis Health to better serve the needs of our clients. The healthcare advertising agency was named Cannes Lions Health Agency of the Year in 2014 and 2015 and added to its awards cabinet at the PM Society's Digital Awards 2016 earlier this week. The firm took home the gold in animation for its JINARC MoA for Otsuka and in social media and film for the spoof 'STI Detection Unit' campaign, Sniffers, for Radox Laboratories.